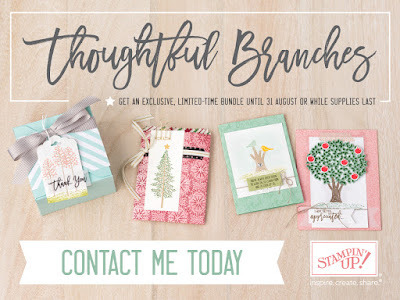 Hi everyone, this is a gorgeous stamp and die set that has 23 STAMPS!! yes you heard right 23! that is a lot of stamps what great value... The stamps and dies will only be available from now to the end of August, once it's sold out no more will be available for purchase , this is STRICTLY A LIMITED EDITION BUNDLE FROM STAMPIN' UP! FOR THE MONTH OF AUGUST!!! so don't miss out. Purchase in a Bundle and save 15%!!! I have the item numbers listed below so all you need to do is click and it will take you to my online store. Happy shopping.